THE HINDU, 06th JUNE, 2018-Maria Fernanda Espinosa is the fourth woman elected to head the UN body. 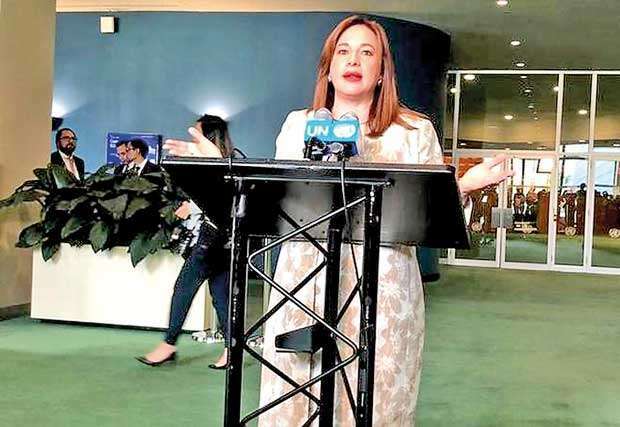 Ecuadorean Foreign Minister Maria Fernanda Espinosa on Tuesday was elected president of the 73rd United Nations General Assembly, a mainly ceremonial title that nonetheless carries a high profile and important procedural functions. Espinosa defeated Ambassador Mary Elizabeth Flores Flake of Honduras by 128 votes to 62, with two abstentions. Ms. Espinosa will become the fourth woman to hold the UNGA presidency and the first since Haya Rashed Al-Khalifa, from Bahrain, in 2006-07. It was the first time that two women competed for the post. Ms. Espinosa will assume the position in September at the start of the 73rd UN General Assembly, taking over from Slovakian Foreign Affairs Minister Miroslav Lajcak. It is rare to have a contested election for the position, which is normally filled by consensus without a vote. It was the turn of Latin America and the Caribbean to nominate the Assembly president based on a preset geographical rotation. Ms. Espinosa dedicated her victory to women in politics world wide, especially those who face gender discrimination.